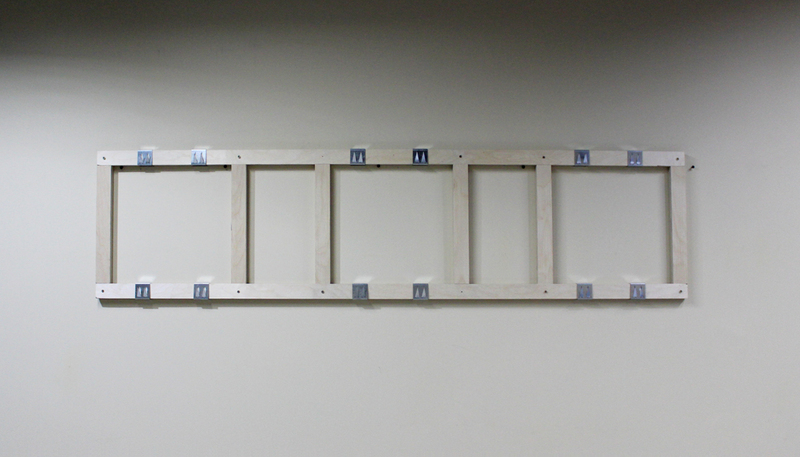 Fixation system frame for walls. 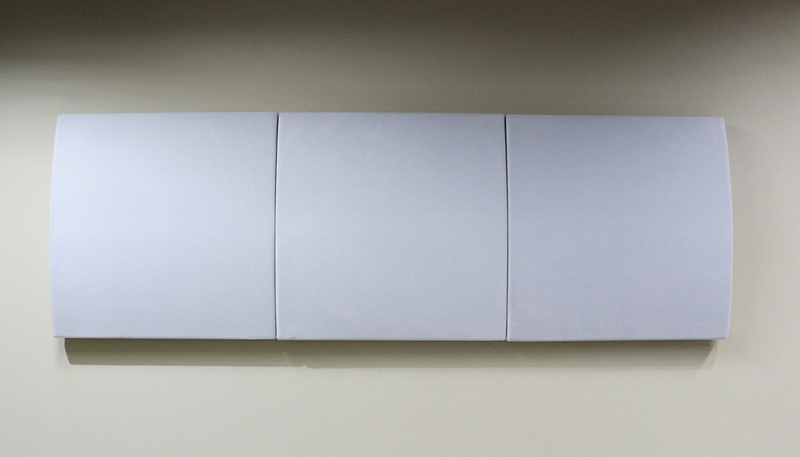 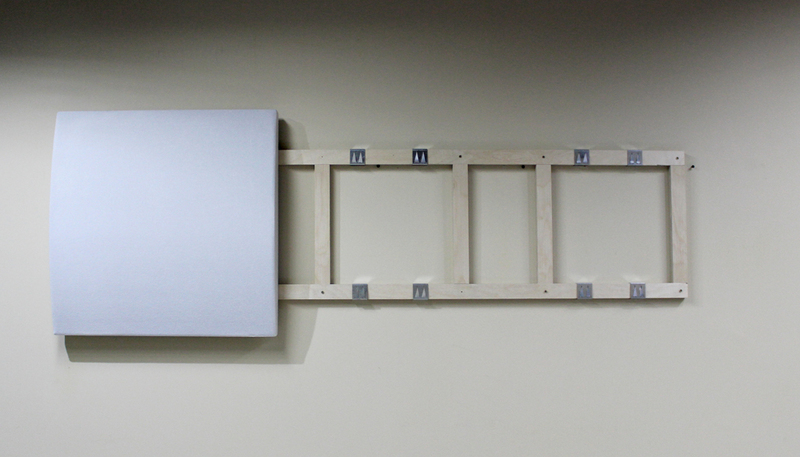 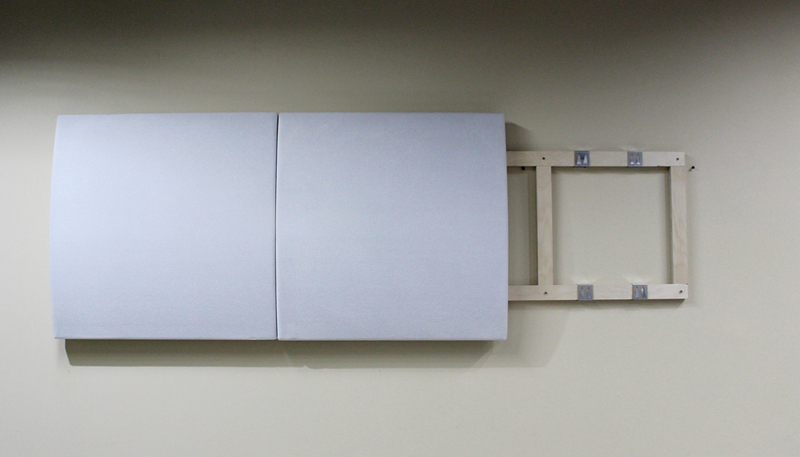 Lightweighted fixation frame developed to hang 3 acoustic panels on the wall. 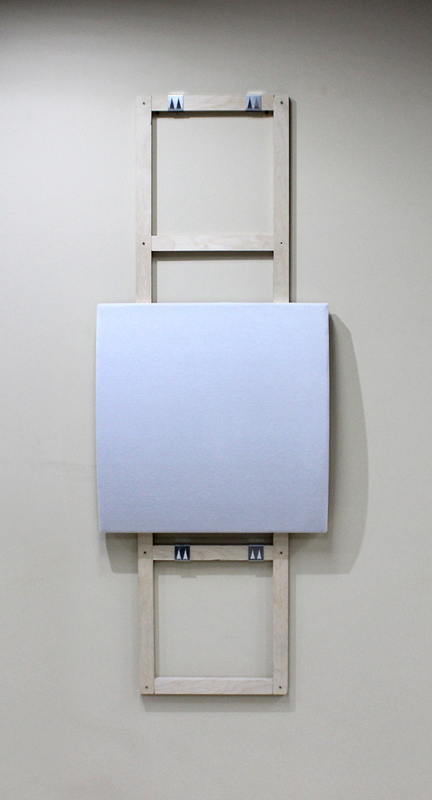 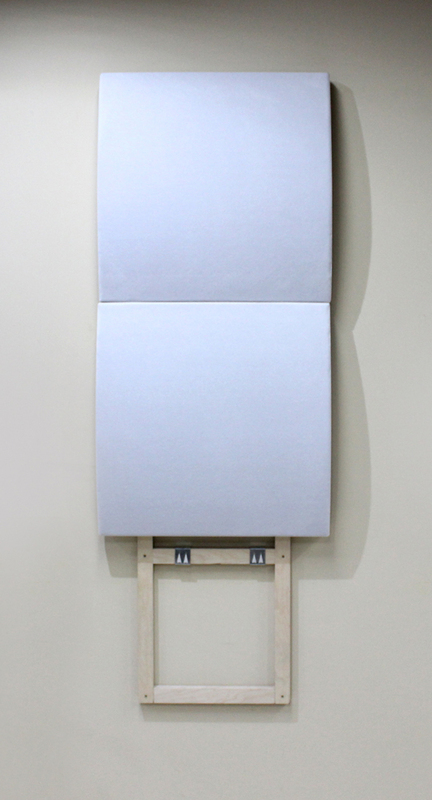 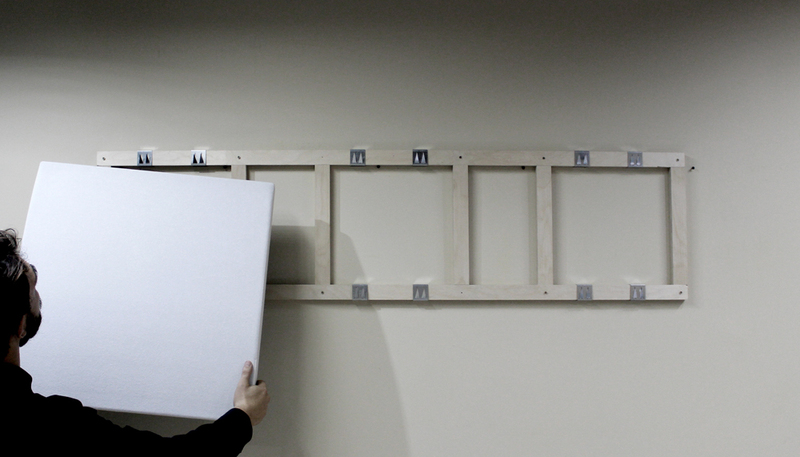 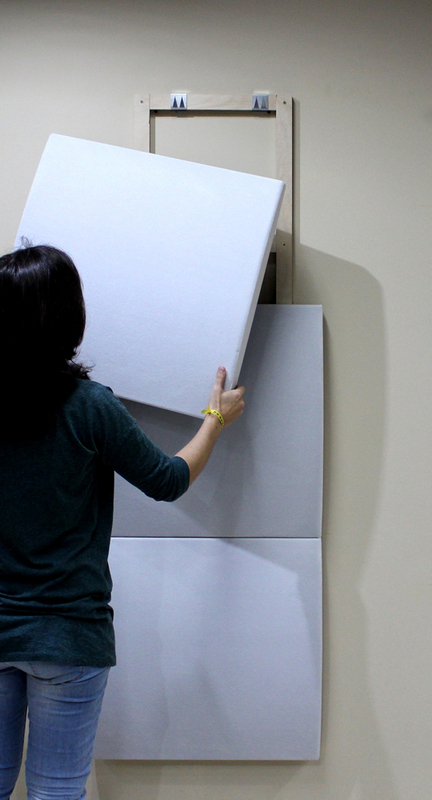 It is easy to mount and it allows the exchange of panels from the frame, which can be used with panels made out of Tech foam, M1, EPS and PET Wool.